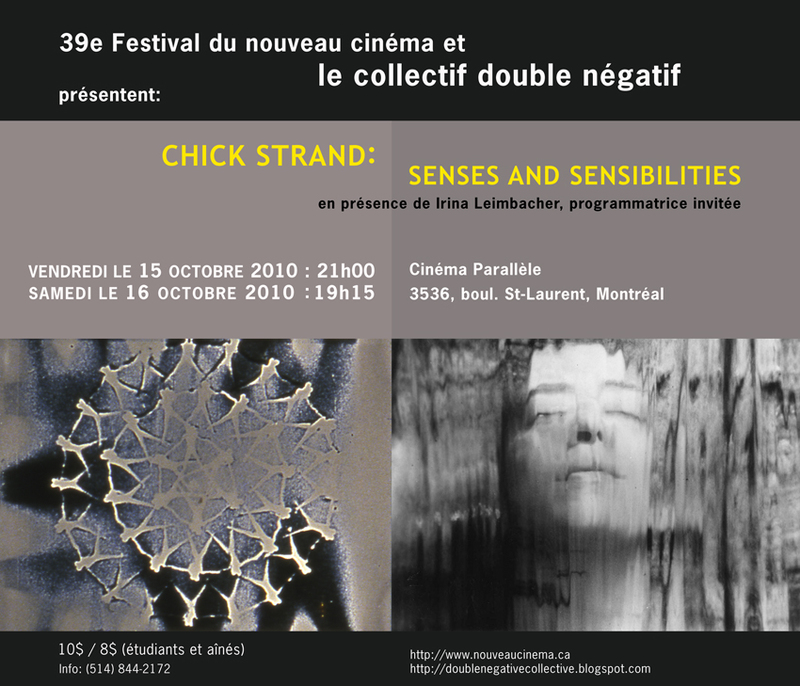 Festival du nouveau cinéma and the Double Negative Collective present the work of Chick Strand on October 15 and October 16 at Cinéma Parallèle. 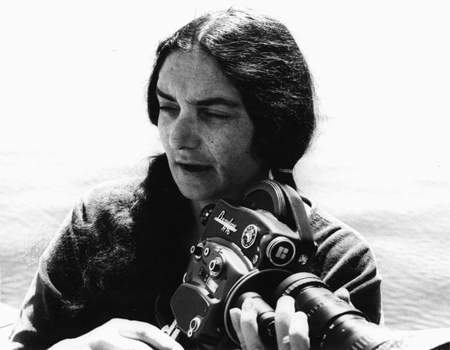 Chick Strand was an ethnographic experimental filmmaker who passed away in 2009 at the age of 77. In the early 60s Strand along with partner Bruce Baillie started organizing film screenings in Berkley, California and would later found, with Baillie and others, the San Francisco Cinematheque and Canyon Cinema. Irina Leimbacher will present the screening. She is a curator and film scholar of experimental and nonfiction film. Irina teaches at Keene StateCollege in New Hampshire, USA.